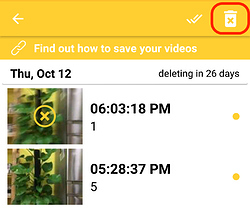 Deleting Motion Events - Got a Question - Alfred Center | get the most out of the best home security app! It appears that the delete all motions events ability has been removed, and now each event needs to be selected individually. Has this (poor) change really been made, or is there something I can do to get that feature back? Our bad: we meant to take this feature out only for the Moment folder, but we made a mistake so it was removed from the Event Book as well. We are working towards adding it back. Please stay tuned till the next update (which is rolling out soon)! 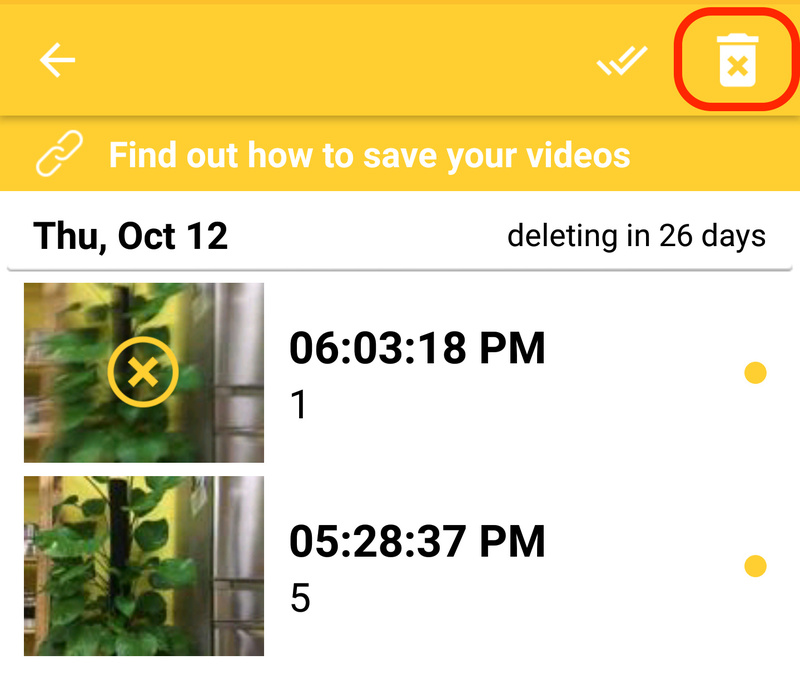 Any idea as to when the delete all feature will be re-added? Please long press the Event, and you’ll see a trash can. You can also select multiple Events before hitting the trash can icon. it doesn’t look like this on my computer’s screen, and longpress is one of the first things that i tried. Sorry that I didn’t realize you were referring to our WebViewer. This feature is not available on WebViewer yet, but we’ll add it on as soon as possible. Please stay tuned! Before that, please try to delete multiple events from your mobile Viewer. Thanks! I’ll use mobile for deleting multiple items for now, but look forward to its addition to Webviewer for computers. I would like to see that deletion functionality added to computer webviewer, too! For now, Alfred’s WebViewer does offer the option to delete Events. Would you like to let us know a bit more about how you want this feature to function?